Today, New York-based artist Josiah Wise, a.k.a. 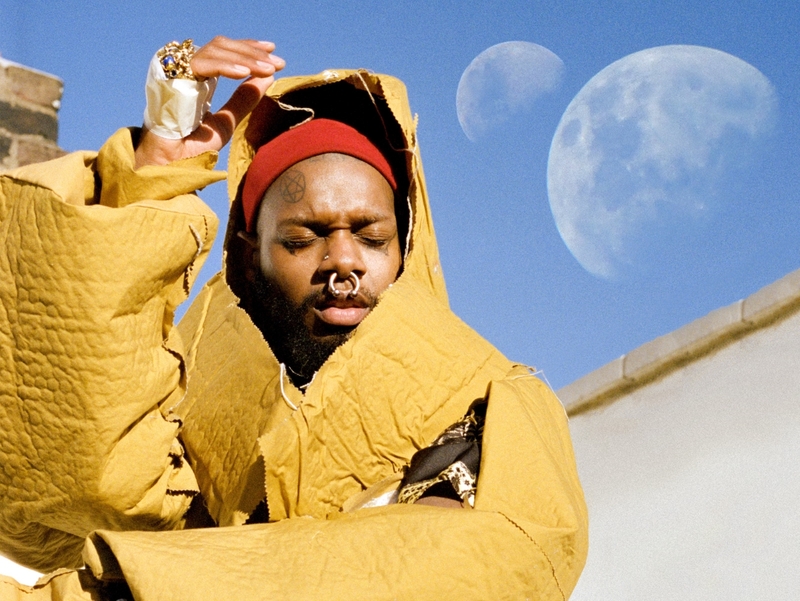 Serpentwithfeet, releases his long-awaited debut album 'soil' via Secretly Canadian/Tri Angle Records. His first full-length is an accomplished exploration of the r&b, gospel, and pop trinity; genres that have also influenced his earlier recordings, and "driven by feelings, by lust and love in all their glory and messiness". 'soil' conjures his early fascinations with Brandy and Björk as easily as it references the pageantry of anthemic compositions by Antonin Dvorak and the ecstatic praise of the black church. Listen below. "soil takes the serpentwithfeet project to an entirely new level. Positioned somewhere between the cathartic electronic soul of James Blake and the gut-wrenching lyricism and vocal acrobatics of Frank Ocean, plus an added dose of theatrics and whimsicality, soil is something precious and personal. Part gut-punch and part caress, the album is devastating, stimulating, self-deprecating, surprisingly funny, and vulnerable." - them. Serpentwithfeet will perform at Le Guess Who 2018 together with a.o. GAIKA, JPEGMAFIA, Katey Red, DJ Haram, Georgia Anne Muldrow, 700 Bliss, Kelman Duran, RP Boo, and many more.